Look at this as a public service announcement. And while I’m sure you’ve been told this time and again, it always bears repeating: Do not age your wines too long. Sure, there are some bottles that reward patience—later this week I’ll be reporting on a 72-year-old Bordeaux I enjoyed several days ago—but the truth is that all wines, at some point, will eventually fade out and die. Which is why we should all dedicate at least one night every other month to rummaging through our collections and popping open what needs to be enjoyed in the short-term. This was brought home to me yesterday when, after Father’s Day brunch at my parents’ house, I asked my father if he had anything he could open. He replied that he had a bottle of dry red that I’d brought him back from Portugal in 2007 (the 2001 Companhia Agricola do Sanguinhal Óbidos Quinta das Cerejeiras Reserva) and that he thought might be ready. I wasn’t sure—I was going to hold onto the same bottle in my cellar for another couple of years—but thought it would be a good chance to see where it was in its evolution. This is why it’s a good idea to buy at least two bottles of any wine you’re going to age for any length of time. It was perfect—a wine at its peak. The tannins were still there, providing all the structure the wine needed, but they’d softened up over the years and taken on an amazingly velvet-like texture. And the flavors and aromas found their center of gravity in the floral-leathery end of the spectrum, though there was still plenty of rich, ripe dark berry fruit to keep it lively. A year ago it still would have had to soften up a bit, and a year from now, while it’ll still be excellent, I fear that much of its fruit will have begun to fall away. But right now, it seems like it’s as good as it’s going to get. Which is to say really, really—really!—good. Good thing we opened the bottle. 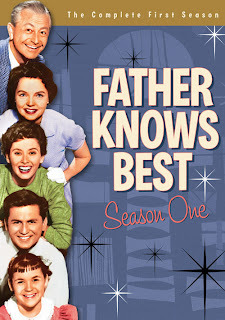 Sometimes, like the old TV show, father truly does know best.